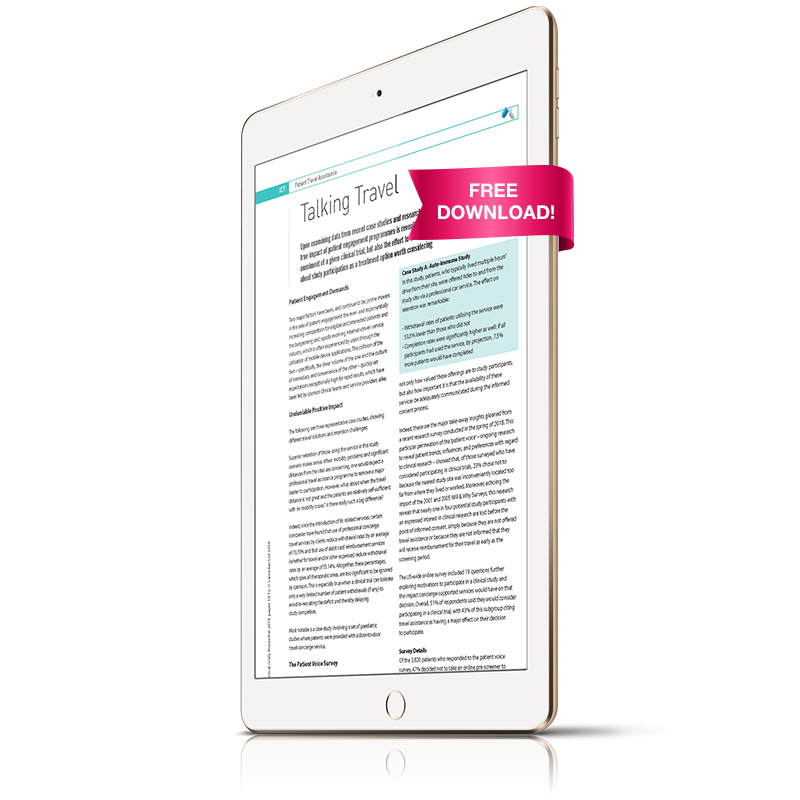 In the November issue of International Clinical Trials, BBK’s Hannu Koski and Rob Laurens look at the role that travel programs play in supporting clinical trial patient recruitment and engagement. The article is based on extensive research, including BBK’s 2018 Patient Voice survey of more than 3,800 patients. Hannu manages BBK’s research and analytics efforts, while ensuring that the patient, site and community voice are represented in all products and services. A principal of BBK, Rob has contributed to the success of many campaigns, while also being instrumental in furthering the industry’s understanding of the patient experience.